The Queens Symphony Orchestra is proud to have one of the most experienced, active, and passionate non-profit board in New York City. These members work tirelessly to keep bringing new programs, funding, and excitement to the Queens Symphony. They have backgrounds in the financial world, law, education, and the arts and are always willing to do whatever it takes to help the QSO excel and aid the development of the community, the Borough, and the City. The QSO board as photographed in May, 2014. 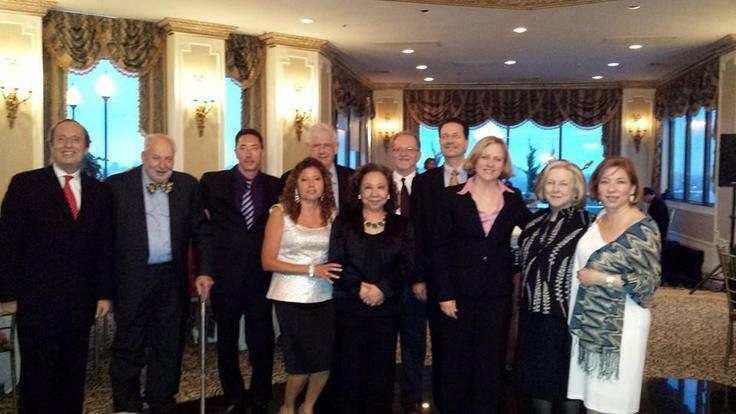 From left to right: Herbert M. Chain, Jules Hirsh, Kenichi Wilson, Tania Broschart, Edmond Coller, Patsy Fang Chen, Jeffrey Rosenstock, Mark Mantell, Queens Borough President Melinda Katz, Elsi Levy, & Claudette Munne.